Welcome to the Ski Lodge! Think there’s no apres without ski? Think again. 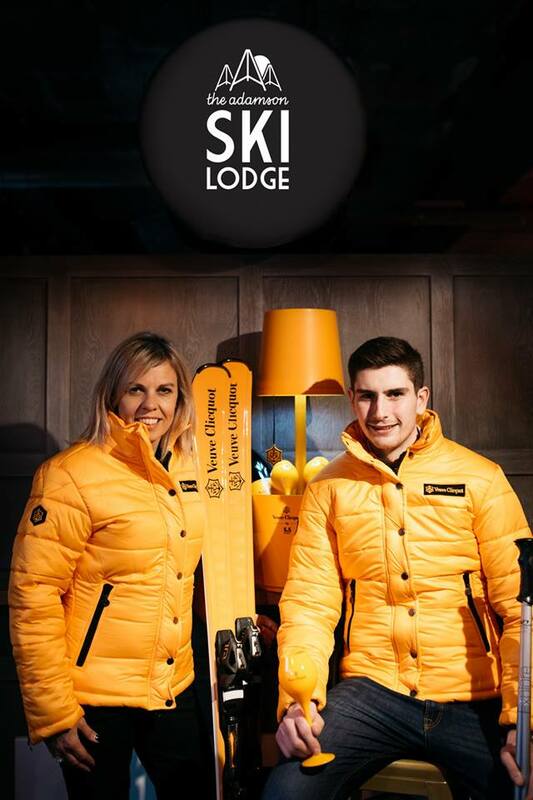 With the season – both ski and festive almost upon us, The Adamson are very excited to launch an alpine – themed pop up and apres bar. Rocking up on South Street in the former BURGER restaurant site from November 30th – January 6th equipped with seasonal hot cocktails, winter-warming fare and all manner of quirky entertainment is The Adamson Ski Lodge. Snuggle up and while away those cold afternoons and evenings surrounded by fairy light, fur rugs & skis. The Adamson Ski Lodge will have an exclusively designed warming cocktail menu for the winter season alongside festive nibbles & hot dogs. The Adamson Sk Lodge will open from Friday November 30th and will also offer a family friendly kids menu complete with hot chocolate, milkshakes and festive treats. The Adamson Ski Lodge will be open daily from 12pm till late with a live DJ every Friday and Saturday night.